Five days, twelve operations, a great achievement for everyone involved. As the week closed I think it is safe to say that we were all be sad to part ways with the people and team at Angkor Hospital for Children. They welcomed us with open arms and as mentioned throughout the week, the experience has been incredible. In the past weekI have come to realise why and how the partnership with Angkor Hospital for Children has been so successful. There are two key ingredients – dedication and education. Fiona, the Project Coordinator, has set the tone for the past five years creating a program that is now like a well-oiled machine. This program might seem like it is about fixing little hearts, but it is also about empowering a nation was put on the back foot a generation ago. 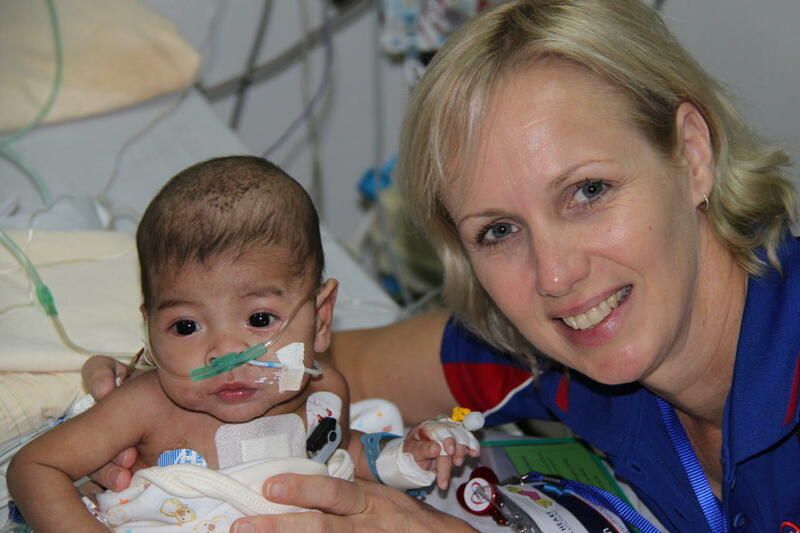 I personally believe that knowledge is power and over time Open Heart International has helped empower the surgeons, nurses and hospital staff to continually enhance their knowledge and confidence within the paediatric cardiac surgical specialty. 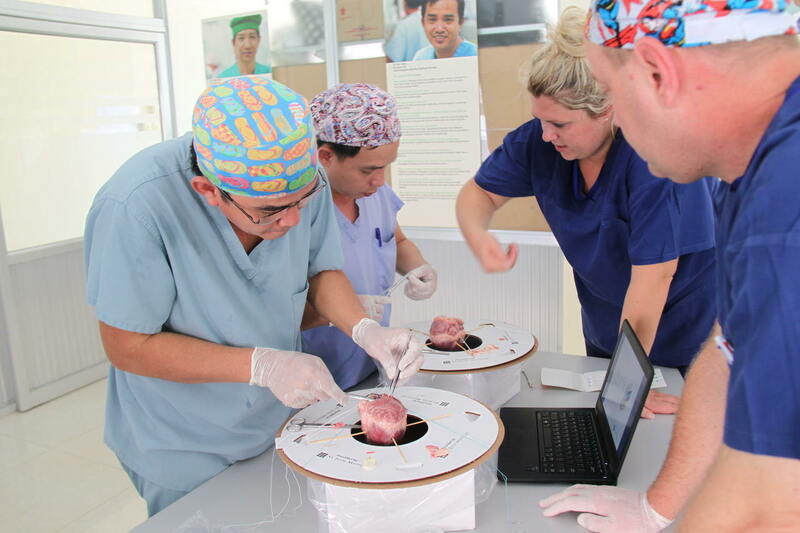 Dr Nicholson, his colleagues and surgical team, are continually coaching their Cambodian counterparts in surgical protocol, technique and procedure. This is a key factor in building up their surgical independence in effort to one day provide paediatric surgery autonomously. The dedication is evident in each team member. 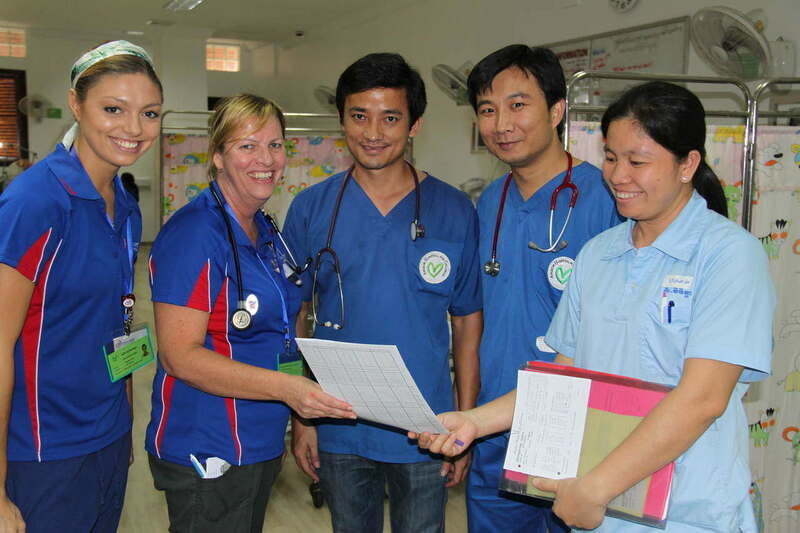 I’ve seen ICU and ward nurses who are partnering together with the Cambodian counterparts in order to expand both their knowledge and clinical application. 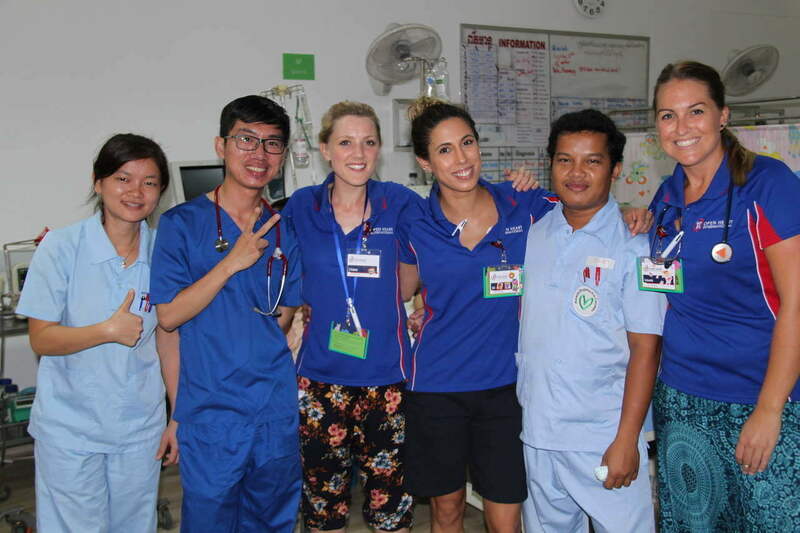 Each and every team member this trip provided and received support and training with the staff, patients and families at Angkor Hospital for Children….even me! As a sales representative for a medical device company based in Sydney, we often organise “wet lab” sessions. I was delighted to have the opportunity, with the help of Dr Nicholson, to conduct one of these sessions for the Cambodian surgical team. What is a “wet lab” you might be asking? 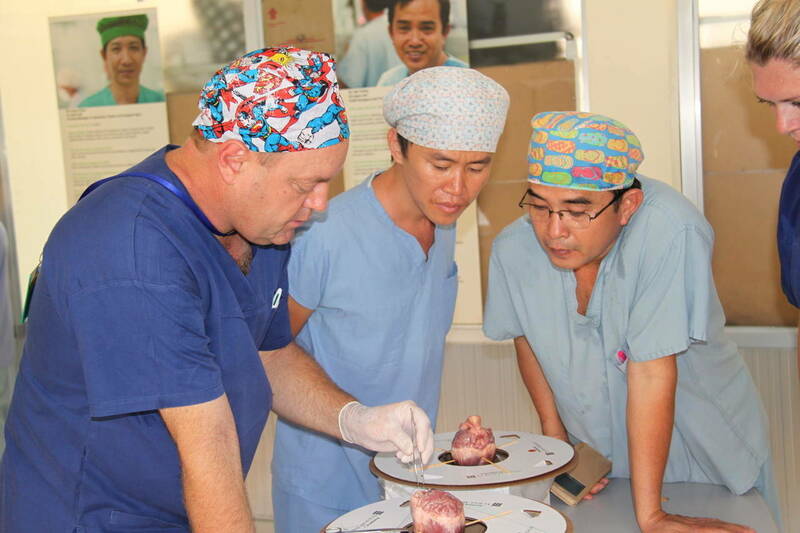 It is an opportunity for surgeons to practice and learn new skills. To do this we use pig hearts as they are somewhat similar to the human heart. In Cambodia, this involved an interesting adventure and navigation to the markets early in the morning to find some hearts! Thankfully the market visit was a success, and later in the day we were able to put the gloves on, demonstrate and run-through a valve replacement procedure. This is not an operation the surgeons currently do, but something that will one day be in their realm of practice for them. Their thirst for knowledge is inspiring, and the gratitude shown for this training was extremely moving. I’m confident that with the on-going education that has been implemented, Angkor Hospital for Children will continue to grow the services they provide for the children of Cambodia independently. 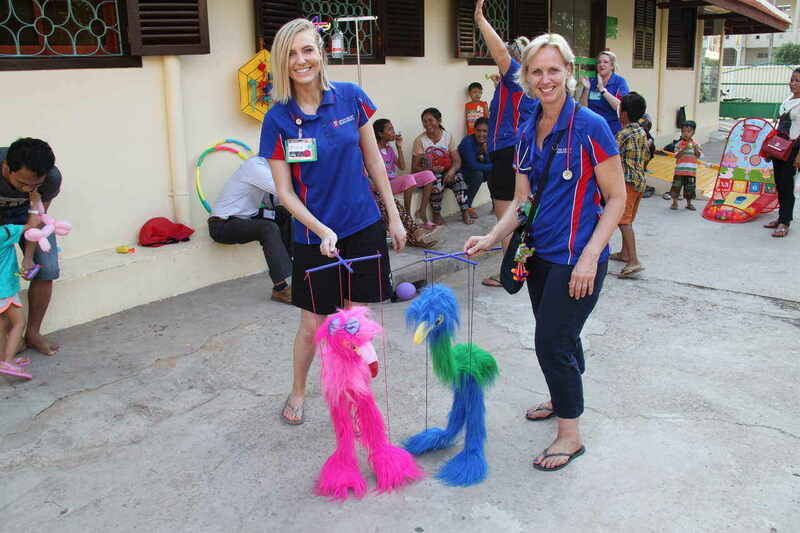 As a team member I am delighted to be part of an organisation that is touching and enhancing the lives of so many. To my team members, be proud of your efforts, whatyou’veaccomplished is exceptional and the smiles we left behind is testament to that.